In addition to having a green lawn, many people like to use chemical sprays to reduce the presence of pests. However, what these homeowners don’t realize is that the chemical spray is not only toxic to their soil and the pests, but also to them. 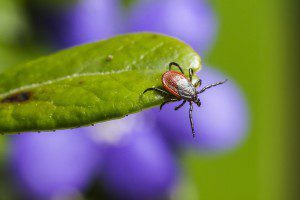 You may be wiping out the pest population in your yard, but you are also damaging your yard. There are a few reasons why you should consider a more organic approach to lawn pest control. One reason to consider using an organic solution on your lawn for pest control is that it is safer for you and your family to use. You won’t have to worry about accidentally inhaling it or letting it touch your skin. Both of which are common when you use pesticide sprays. Organic treatments put multivitamins back into your soil, which can increase the overall quality of the soil. Traditional pesticides strip the nutrients from your soil and can make it hard for you to grow or plant anything that lasts. It has been shown that pesticides can actually lose their effectiveness over time. Pests are less likely to develop a resistance to organic treatment, which is due to the more natural approach. A final reason to think about using organic lawn treatment is that it can help you achieve lasting results. The repeated application of treatment actually improves the health of your soil. If you use a chemical spray too long on your soil, then you can cause significant damage to your soil. The most important thing to remember is that there is a better alternative to using pesticides for lawn pest control. A natural treatment can be a safe way to get rid of unwanted pests while also replenishing your soil with multivitamins. Consider reaching out to Organic Lawn Care Services for all of your pest control needs.